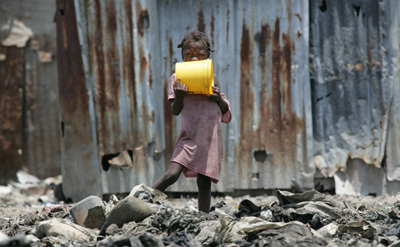 People in the world either don’t understand or care that Haiti is disputably the poorest country in the world. The Dominican Republic may not be as bad, but it is still considered a third world country. But ask yourself, why would these small countries, so close to the continental United States, go through so much suffering? The United States sends plenty of help to countries that are continents away, yet seems to turn a blind eye to a small island that is just a few miles away. The answer is simple: The island of Hispaniola (Which is half-Haiti and half-Dominican Republic) doesn’t have enough resources for the world to care. It comes down to simple economics and a sprinkle of racism. 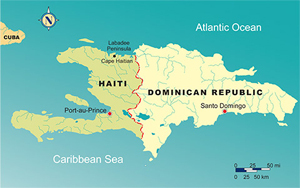 Haiti and the Dominican Republic are mostly Black; descendants of African slaves brought to the island to be shipped off to different parts of America (the island became a major slavery distribution center of the times). This is the same Hispaniola island that was the first piece of land Christopher Columbus set foot in when he first arrived in America. Haiti and the Dominican Republic together have one of the most rich histories of any countries in the world. From the Natives that lived there before the Europeans arrived and wiped them out, all the way to the present day, when the conflict between the two nations is alive and well. So what are the Haitians and Dominicans fighting about? They’re fighting for a better life. Bottom line. It’s not a matter of racism (even though it’s huge factor), it’s a matter of hopelessness, a sense of treachery and abandonment. These two countries are fighting years of slavery, colonialism, massacres, oppression, and a number of other catastrophes, some caused by nature, but most created by men. How do you get over hundreds of years of destruction, without holding any animosity or bad blood? The world is mostly blind to the fact that there are people suffering there. The United States jumps continents to help people all over the world, but there seems to be little assistance being sent over to Haiti, even though the country is just a few miles away from the continental US. Is there the possibility that Haiti and the Dominican Republic are not worth the trouble because they don’t have any petroleum or diamonds? Could it be racism? 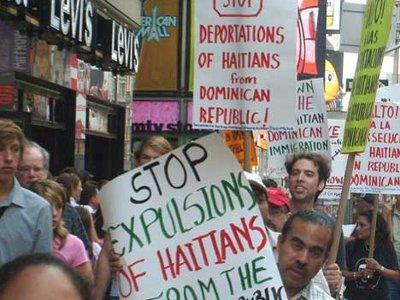 Do Haitian lives matter? Do Dominican lives matter? The proof is in the pudding: The world doesn’t care! I feel very passionate about this because I feel we all live in a country full of hypocrites. People who preach one thing, but don’t practice their own sermon. We’re all brothers and sisters in this planet, yet we’re so brainwash to believe that we’re different. That somehow one race is better than the other. It’s all part of the manipulation and the “divide and conquer” philosophy at a global scale. If we don’t start realizing the truth that lies right in front of our eyes, then we will never evolve as human beings. I continue discussing this issue at length on my video podcast iTHINK <– Check it out. Previous post Who’s the Sexiest Spanish WeatherGirl?